UAE-based Abraaj, a leading investor operating in emerging growth markets, has announced broad changes to the firm’s governance and operating model and also the appointment of a new leadership team. Core to the re-organization will be the separation of AIML and Abraaj Holdings (AHI), which will be independently managed, said a statement from the Dubai-based buyout firm. The fund management business will continue to oversee the operations of all of Abraaj’s funds globally on behalf of leading institutional investors and manage a portfolio of investee businesses across Asia, Africa, Middle East, Turkey and Latin America, it stated. 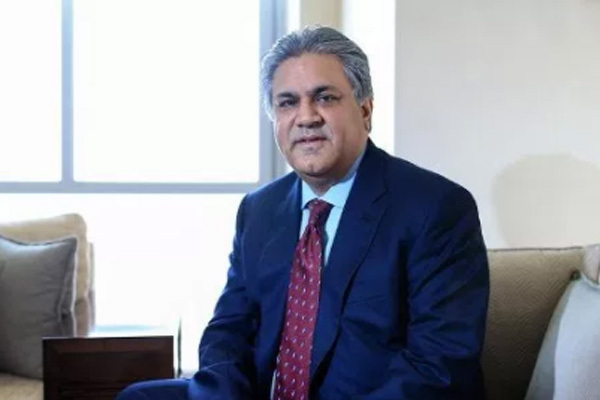 Arif Naqvi, the founder of Abraaj, has passed the reins of the fund management entity to the co-chief executives in order to further grow the business. The executive leadership team at AIML will be led by Omar Lodhi and Selcuk Yorgancioglu as co-chief executive officers with immediate effect. As per the new arrangement, Naqvi will focus on managing Abraaj Holdings and will retain a non-executive role as a member of the global investment committee of AIML. Both Lodhi and Yorgancioglu have each been with the group for over 10 years and were respectively partners for its Asia and Turkey businesses. In their new positions, they will be responsible for the overall strategy of the fund management business but will each have different areas of responsibility. The duo will work closely with the board of AIML to drive the necessary operational and governance changes to ensure that the firm continues to perform at the highest levels, said the statement from Abraaj. AIML has commissioned a comprehensive review of its corporate structure with areas of focus to include governance and control functions. Independent specialist consultants have been retained to carry out this review. The intended impact of the review, which has the full support of the Abraaj board and management, is to pave the way for future and sustainable growth of the firm by driving enhanced operational effectiveness. Going forward, AIML will have an independent board of directors to which internal audit and compliance will directly report, it stated. Mustafa Abdel Wadood, Wahid Hamid and Sev Vettivetpillai will continue their full time role as members of the global investment committee and as managing partners of AIML with oversight responsibility on the executive committee of AIML to ensure an orderly implementation of the new management structure and governance systems. Given the breadth of structural and management changes and ongoing review, Abraaj has decided to pause its deployment activities temporarily, other than on transactions for which commitments are already final, until the re-organization is complete, said the statement. This has in no way slowed Abraaj’s momentum in deal sourcing and transaction negotiations that are performed by investment teams across its markets, it added. Sean Cleary, the chairman of the board of directors of AHI said: "Under Naqvi’s leadership, Abraaj has grown in size and scale over the past 16 years to become a leading investor in growth markets. On behalf of the board, I would like to take this opportunity to thank him for his commitment and achievements." "As the firm looks ahead to the future, we believe this is the right moment to transition the fund management business to a new structure that will best serve the requirements of our investors and stakeholders," he added. Commenting on move, Naqvi said: "Since 2002, my colleagues and I have worked to build a leading alternative asset manager in growth markets. My journey started with a clear-eyed view of the role of private capital in creating economic and social change for the markets and communities that we serve." "Sixteen years on, I remain more convinced than ever of that belief and this transition allows me to dedicate more time to developing new platforms that can strengthen the compact between business and society," he noted. Naqvi said it had been a privilege to have led Abraaj over this time and to have created a new model of private equity for its markets. Lauding Lodhi and Yorgancioglu, the company founder said: "I have every faith that under their leadership, this dynamic firm will achieve even greater heights. The team has my full support and I look forward to contributing to the success of Abraaj going forward." On their new role, Lodhi and Yorgancioglu said: "We are privileged to have the opportunity to lead a premier private equity firm in growth markets. Over the years, this firm has built an outstanding platform and invested in leading brands in over 30 countries."